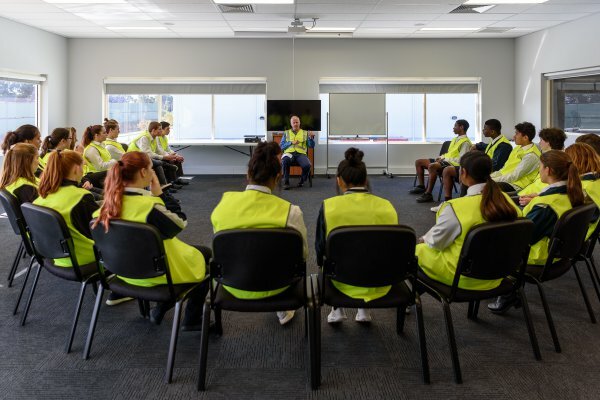 The City of Armadale's youth career development program, Armadale Aspire, is modeled on the Kwinana Industry Council's award-winning iProjects, and an annual partnership between the City, local businesses and local high schools. Armadale Aspire is aimed at increasing job-readiness, broadening young locals’ horizons and introducing the students to the variety of diverse career opportunities within their own region. In addition to incorporating a series of career development workshops such as resume writing and interview techniques, the Program provides industry excursions and the opportunity to meet potential employers, providing real life experience while exposing the variety of roles and industries locally. With some incredible outcomes in the past two programs, the City alongside key education and industry partners, will deliver the 2019 program across a period of seven weeks in July, August and September. Why get involved as a business? For more information on the upcoming 2019 Program or to enquire about partnering on this initiative for 2019, please contact the Community Development Officer - Youth on 9394 5637 or info@armadale.wa.gov.au.